Just a few weeks ago, Twitter started testing a new ‘Buy’ button that would allegedly help create a new monetization stream both for the platform and the brands using it. Today, Facebook proceeded in announcing the introduction of a ‘Buy’ button. The social network stated that it has started testing this brand new functionality on mobile and desktop versions of the platform – while Twitter is testing on mobile, exclusively. 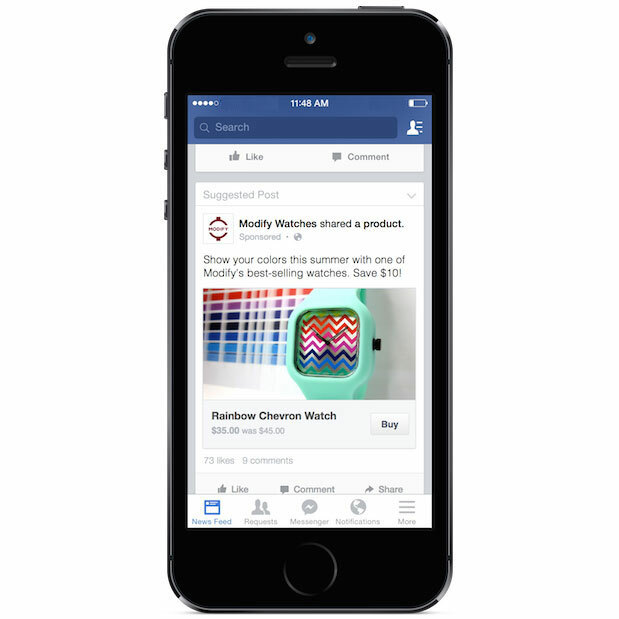 #Facebook is testing online purchases on desktop and mobile. Read the details! Facebook reassures future users that the whole functionality is security-oriented with the social network focusing on making online payments as safe as possible. In addition, cards and customers data will not be shared with advertisers and users will opt for keeping they payment details for future use. According to their official release, the new button is being tested on small and medium-sized businesses in the US. #Facebook develops new, safety-oriented, ‘Buy’ button. This is how the new ‘Buy’ button will look like. Do you find this last addition useful? Would you use it for your brand?